Here you can distinguish between “real” ground fog and chemical glycol fog, which is cooled down. The latter spreads out on the ground and rises again in places, as soon as it warms itself up, and reminds us more of the natural morning fog produced by Mother Nature in the river, which also has its charm. Only machines based on liquid nitrogen, such as our cryofex LinFogger, which are considerably larger, are suitable for real ground fog. 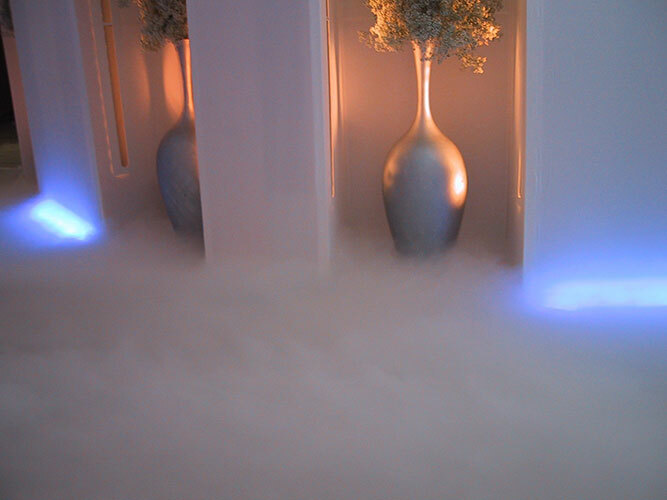 Pure dry ice foggers, which require up to 100 Kg of dry ice, are no longer used, as the disadvantages (ground becomes moist, air emission with CO2, not controllable, expensive). 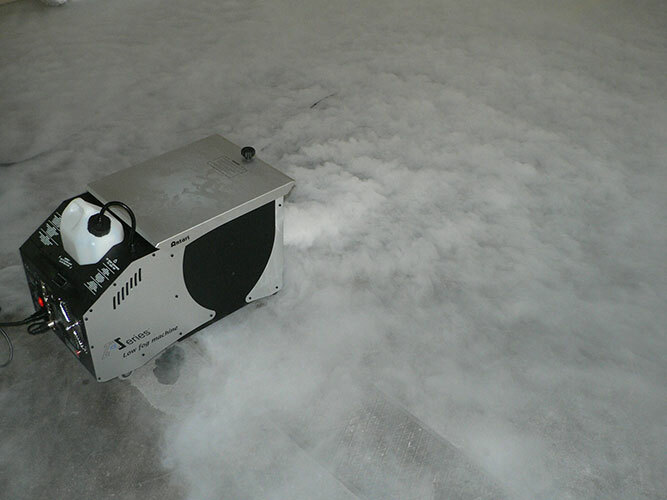 The LinFogger can cover up to 160 square meters per machine with a dense, white-walled ground fog, which also flows down steps. Exclusive only at zündwerk: the “Cryosphere”! This is a device for producing incredible amounts of ground fog. 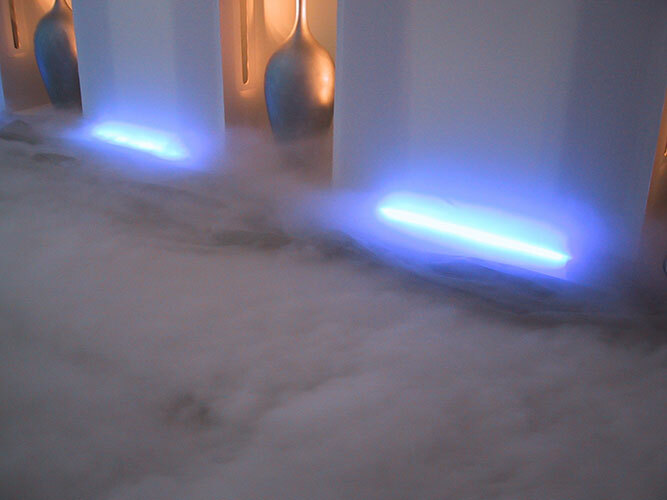 Ground fog generators of the highest performance class for the classic floor effect (previously made with dry ice). 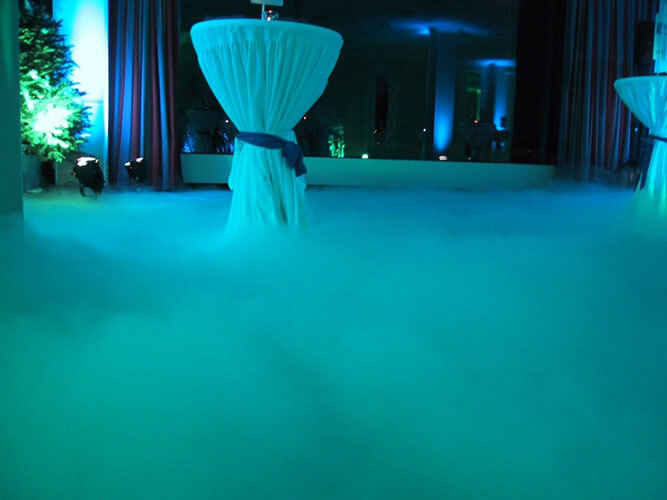 The equipment consists of a dewar container for liquid nitrogen (up to 400 l), the fog generator with water reservoir, hose lines and optional special effects such as waterfall or geyser. The LinFogger are robust made of stainless steel, installed in cases and easy to use. Ground fog unit based on glycol, LIN-based with fog cooler. For extreme amounts of fog on surfaces up to 400 sqm! Output about 400 sqm !!! For extreme amounts of ground fog for outdoor use! As fog fluid, we use special, food-safe, medical oil. Approx. 1000qm ground fog / min. Only for outdoor use. 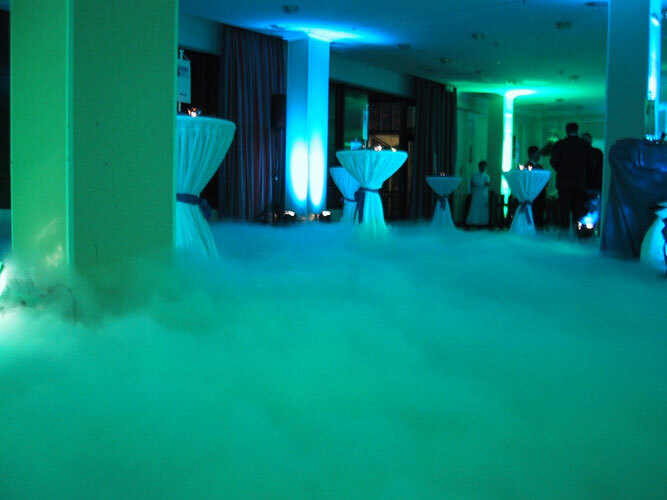 A simple ground fog machine by the method “chemical glycol fog with dry ice cooling”. The unit has a tank for 8 kg dry ice and 3l fog fluid. 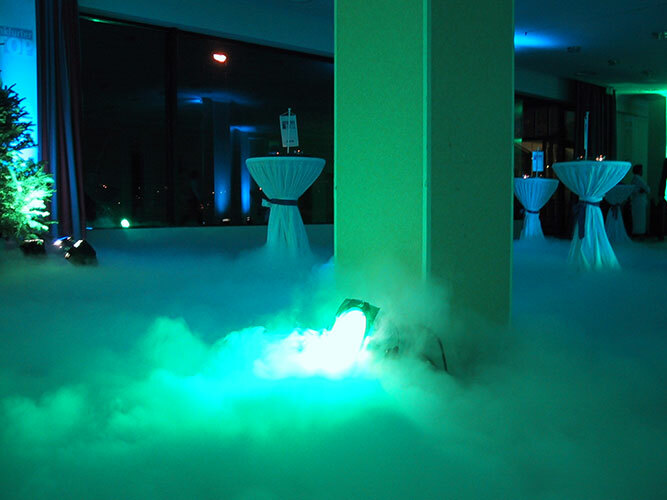 The dry ice is not sprayed with water, as in classic “Rumble Pot”, but it is used to cool the glycol fog, which then remains on the ground for a long time. 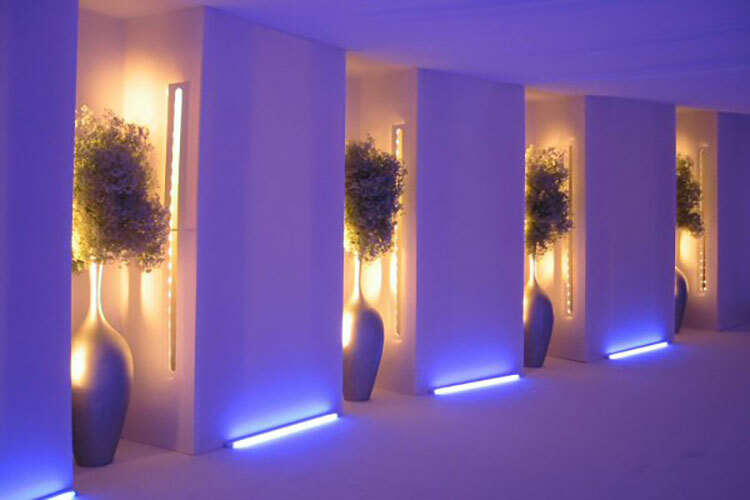 The performance is about 50 square meters, the effect is rather gentle and fluent and not as powerful as “real” ground fog. 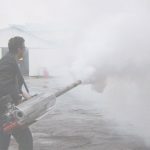 The IceFogger is a very cheap and good compromise to the “real” ground fog based on liquid nitrogen, if the low performance and the light gray fog color are no problem. 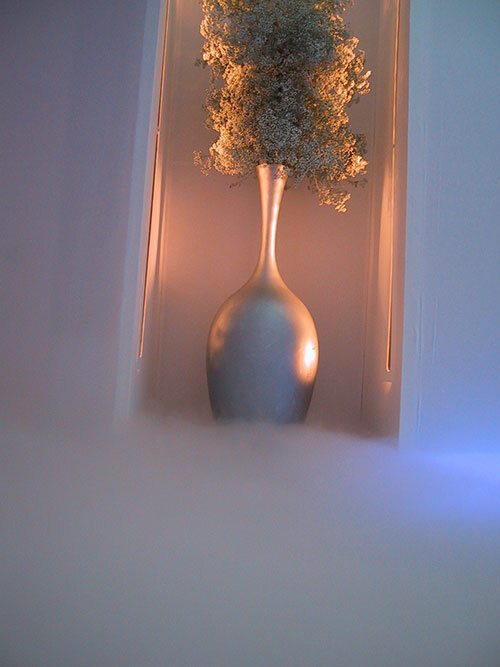 We also provide the IceFogger with 10 kg of dry ice in the insulating container. Dimensions: 617 x 355 x 359 mm, 42 kg Empty weight in case. 1040 W, 240 V, DMX controllable, timer remote control with cable. 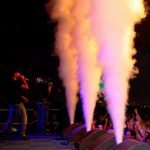 IceFogger, 3 liter fog fluid cryo-fog, 10 kg dry ice: ask for price!